Have you ever stuck some fruit or something else in the freezer, only for it to come out in a big block and you can't use it until you defrost the whole thing. Well, I have a trick for you! So I am a memeber of a produce co-op and get some amazing things. I have been gone from my house a little more than normal so I can't use up all the produce before it goes bad. Plus, my husband is gone for the week and can't help me eat it. So I decided to freeze some things rather than letting it go to waste. I love freezing fruit because I can make delicious smoothies later. 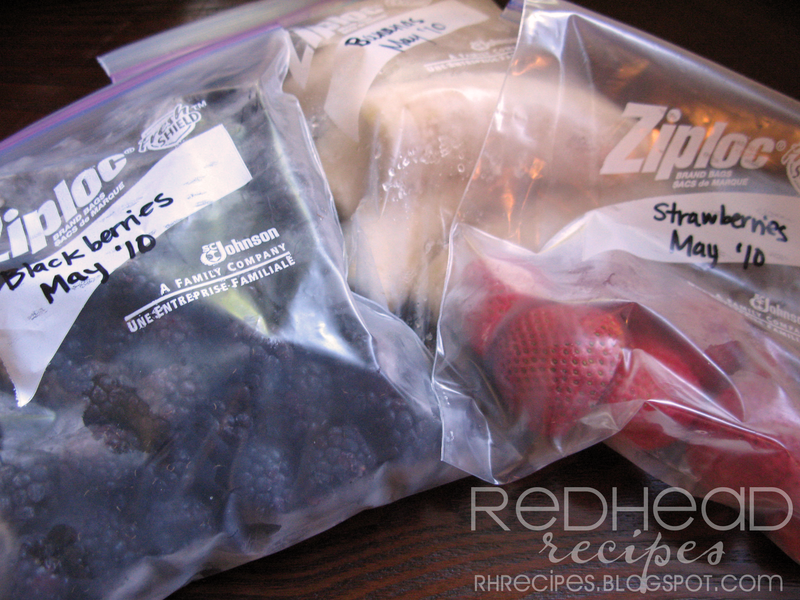 Place items you want to freeze (for me, it was blackberries, strawberries and bananas) on a cookie sheet and place in the freezer until hard. Remove and place in freezer safe bag. If you are going to freeze something like peaches, mangoes, etc - it works best to cut them up in peices then freeze them. That way they are ready to go into any dish. For bananas - I just cut them in half because I only use them in smoothies or banana bread (if you use it for banana bread, let them defrost a little. But you could also cut them into slices to make it easier on your smoothie blender. *if you see it in the freezer section at the grocery store - you can freeze it too. I always freeze fruits when they are on sale. Great post! Amazing! I was just looking at all of my ripe mangoes, wondering if I could freeze them. Thanks! Genius! Thank you for the tip! You can also freeze bananas whole, in the skins. They go black, but otherwise are fine. I also mash up bananas & freeze in quantities needed for my favorite banana bread recipe. I agree with freezing the fruit, such a great tip. Raspberries were on sale at Costco and I just layed them out on a cookies sheet and they will be perfect in jam, desesrts, whatever! 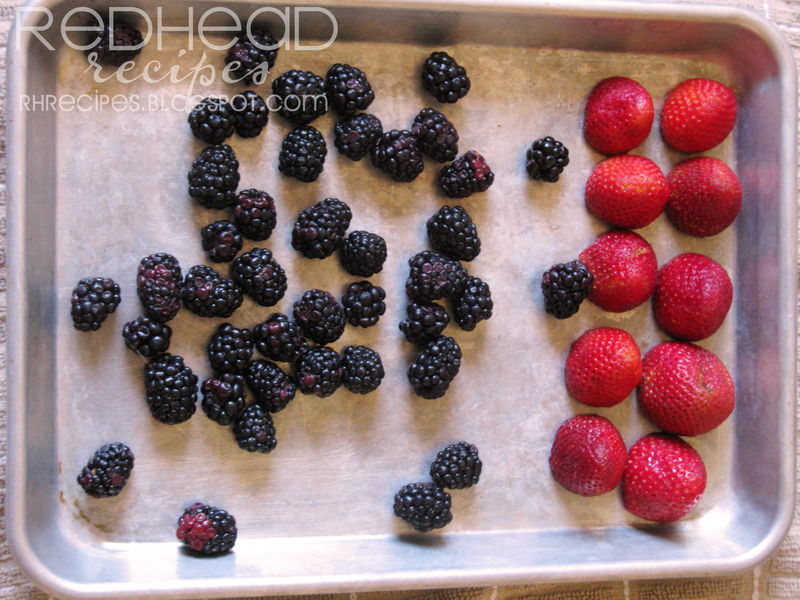 I do that with my berries and peaches. Hope to do more freezing this year thanks for the tips. This is a great tip Sarah. I don't freeze fruits but I should. ... I usually freeze everything else from soups to cookie dough, etc. Cheers! Wishing you a lovely weekend! Okay, no joke-- I was JUST about to throw a bunch of fresh strawberries in a gallon bag today and put them in the freezer because I realized that even with my pregnant-ness there is no way I can singlehandedly devour a whole Costco container of strawberries. My husband will eat a few and my child too, but not enough to use 'em up before they go bad! wonderful tip. this is what we do with my in-laws raspberries. what co-op are you part of. those look delicious! I'm assuming this tactic works for tater tots as well? Valerie - Yes, I have done bananas in their skins, I just like cutting them in half so that they can go right into a smoothie. Becky - I am part of Bountiful Baskets. You can sign up online. 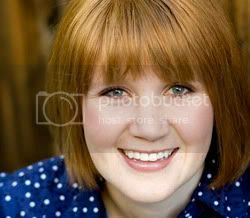 erika - yes, tater tots, chicken breasts, cookie dough, lots of stuff! Thanks for this post! I am doing this right now with strawberries that will go bad if I don't!